Caused by the bacterium Mycobacterium tuberculosis, TB can be a short-lived- but mostly chronic disease. It affects the lungs, but it can affect other parts of the body too by your bloodstream. Flu-like aches and pains, chest pain, battling to breathe, night sweats, coughing up blood and a morning cough are just some of the early symptoms to warn you of this disease. TB causes many deaths and it is transmitted through contact with airborne infected sputum which comes from somebody coughing. As with most illnesses, those with a compromised immune system – typically people with HIV/Aids will be more vulnerable to this bacterium. Can you afford Tuberculosis Treatment? Treatment for Tuberculosis will include powerful anti-bacterial drugs, although it must be mentioned that more recently, certain strains of bacteria have become resistant to antibiotic therapies. Pulmonary tuberculosis is a condition that qualifies for Prescribed Minimum Benefits and medical schemes have to cover the costs related to the diagnosis and treatment of 270 medical conditions as well as 25 chronic conditions. Medical Schemes have to cover consultation fees as well as investigations which include the like of radiology and pathology. These are necessary to make an accurate diagnosis of medication. Medical schemes can use designated service providers so as to provide PMB services such as consultations, investigations, medication and hospitalisation. Designated Service Providers or DSPs could be doctors, radiology, pharmacists, hospitals as well as other healthcare providers. You can get your PMB-related services without having to part with a co-payment for any of them. Your medical scheme may refer you to a state facility for instance if it has DSP arrangements with public facilities. Co-payments can apply if you prefer to steer clear of public facilities and to use a non-DSP. People who are HIV-positive, have additional PMB entitlements for screening and treatment of TB. Hospitalisation for acute TB and cases where you need surgery is in the PMBs for the disease. Very few people can afford the costs of medical treatment for Tuberculosis. The difficult-to-treat TB known as MDR or Multidrug-resistant TB or the Extreme Drug Resistant TB, known as XDR TB can develop when you stop treatment. This is when you will need even more expensive treatment, and also for a long time. A medical aid thankfully provides for costly medical procedures, preventing you from having to pay those high medical expenses that very few people can afford. 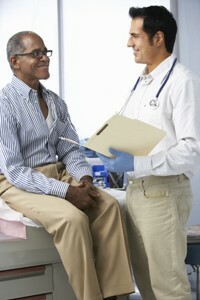 Your health and your age will be a guide as to which medical aid is right for you. But all medical aids have to pay for prescribed minimum benefits. There are many medical aid comparison sites where you can understand how the medical aid will treat your condition. Each medical scheme provides the low-down on their cover of Tuberculosis. So that you know exactly what to expect from them if you get TB.